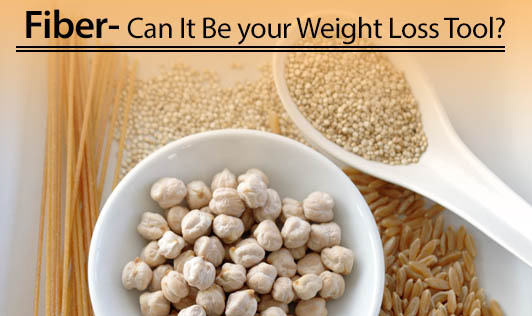 Fiber - Can It Be your Weight Loss Tool? If you are overweight and looking for some help to lose weight, here is your food! I am sure that you would be eating plenty of fruits and vegetables in your daily diet to achieve your target weight. While this option does provide plenty of vitamins and minerals, it also contains zero calorie components, fiber. Eating fiber in the first place makes you consume less food by giving you the sense of fullness, thereby reducing the intake of starchy, fried and oily foods. As per the recommended dietary allowance, women should try to eat at least 21 to 25 grams of fiber a day, while men should aim for 30 to 38 grams a day. 1. Whole grains and cereals - brown rice, wheat, ragi, barley and millet. 2. Snack on salads rather than junk and fried foods. 3. Begin a main course with a salad/ soup. 4. Start the day with a fiber cereal topped with fruits, nuts and low fat milk. 5. Make all your grains whole and limit them to a few servings each day. 6. Add nuts and seeds to your weight loss plan, but keep the portions small because they are high in calories as well. No single food fiber is perfect; eat a varied diet to gain all their health benefits. Although fiber is not a magic component, a high fiber diet is always a part of a healthy, balanced and low calorie diet!